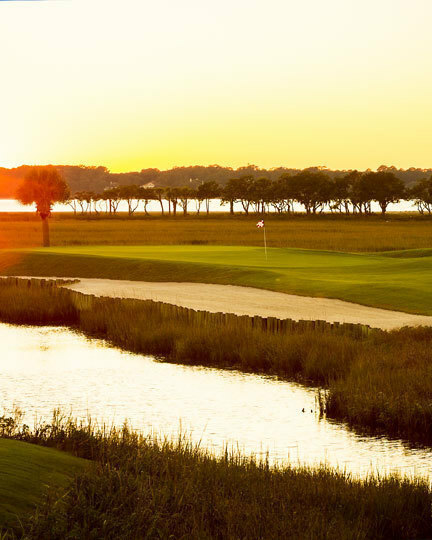 The Sea Pines Resort is proud to offer the services of both walking caddies and forecaddies at our iconic Harbour Town Golf Links, Heron Point by Pete Dye and the all-new Atlantic Dunes by Davis Love III. 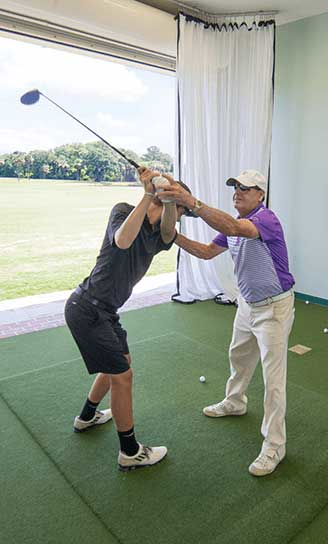 Established in 2007, the caddie program has become one of the hallmarks of the golf experience at The Sea Pines Resort. Walking with a caddie is the best way to enjoy the beautiful natural setting and spectacular wildlife of our Certified Audubon Cooperative Sanctuary golf courses in The Sea Pines Resort. 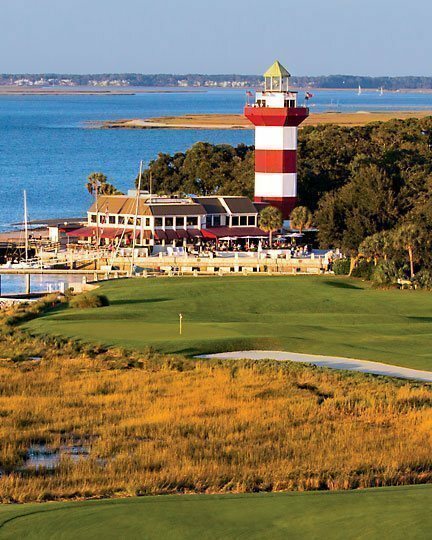 The knowledge and guidance of a caddie has proved tremendously helpful to players navigating the dramatic angles and shifting elevations of Heron Point, the large undulating greens of Atlantic Dunes and the tricky winds off Calibogue Sound on the feared par-4 18th hole of Harbour Town Golf Links. These courses place a premium on finesse, imagination and shot-making, rather than strength. Having a caddie by your side will allow you to make the most of your experience playing these remarkable courses. Our professional caddies are employees of The Sea Pines Resort and serve as both host and course advisor. They assist in reading greens and providing accurate yardages, and offer invaluable strategic insight for playing each hole. 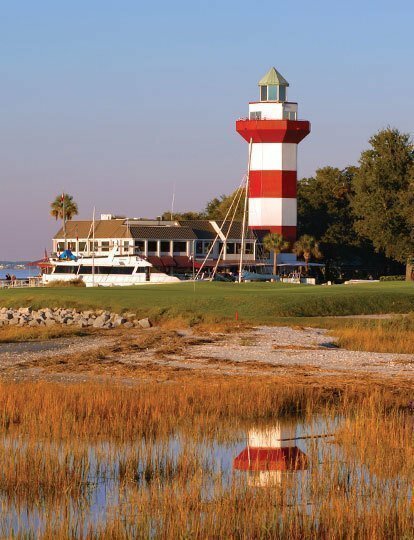 In addition, they hold a wealth of knowledge on the history of Sea Pines and Hilton Head Island, other resort amenities and the environment surrounding the golf courses, essentially acting as an on-course concierge for all of our golfers. 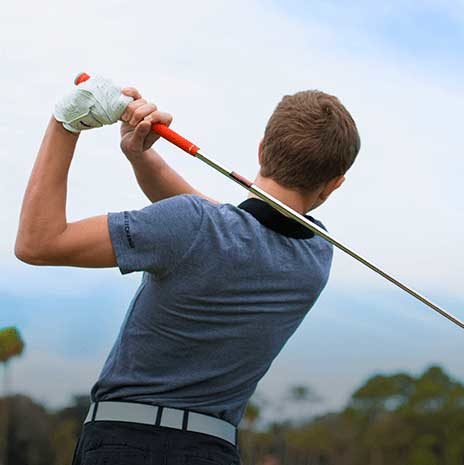 The Sea Pines Resort recommends the following minimum gratuities: $100 for a caddie carrying a single bag, $75 per bag for a caddie carrying 2 bags and $30 per player for a forecaddie. Of course, the amount of any gratuity is at the discretion of each player. 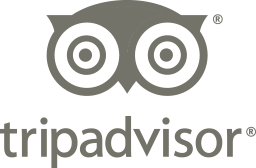 But we hope your caddie's performance will exceed your expectations and warrant at least the recommended amounts. If you wish to comment on a caddie's performance, please contact our caddie services department at (843) 842-1450. 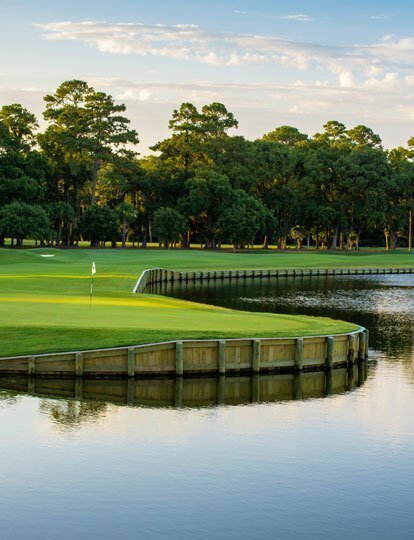 Our experienced staff will assist you in maintaining the expectations of The Sea Pines Resort's pace-of-play policy and ensure you enjoy your round of golf. 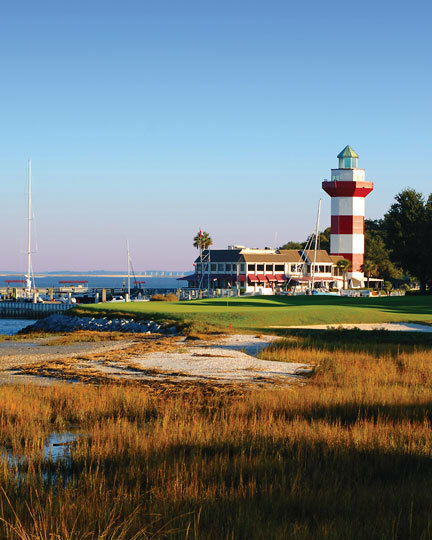 For all guest rounds at Harbour Town Golf Links, the resort requires one forecaddie per tee time. 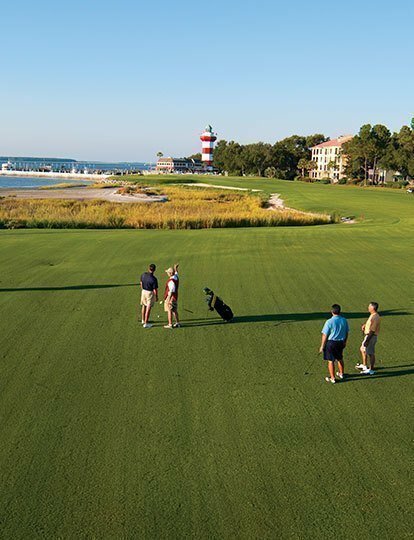 Because Harbour Town Golf Links is cart path only for most of the year, walking with a caddie affords you the opportunity to fully experience the golf course, take in the beauty of the Lowcountry landscape and play your best game. 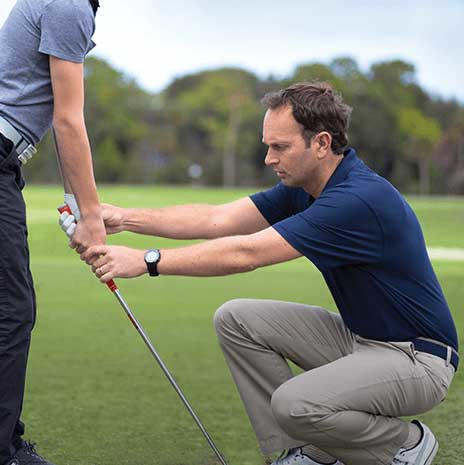 Your forecaddie or walking caddie will offer unique insight on the obstacles and strategy of the courses, provide accurate yardages, assist in club selection, and perform course maintenance duties. 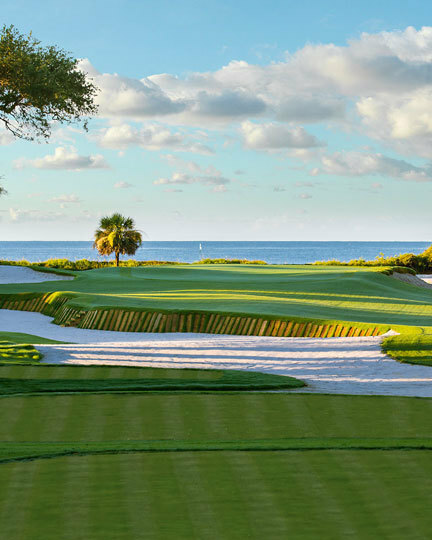 The resort also accepts requests for forecaddies and walking caddies for all guest rounds at Heron Point by Pete Dye and Atlantic Dunes by Davis Love III. Please make your caddie request when you reserve your tee time. Call (843) 842-8484.